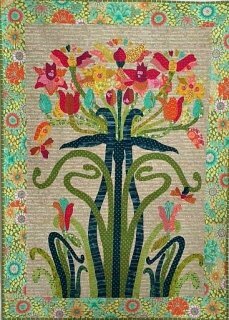 Flower Tree pattern by Laura Heine features fused applique! Finished quilt is 52 x 74. Full sized patterns.